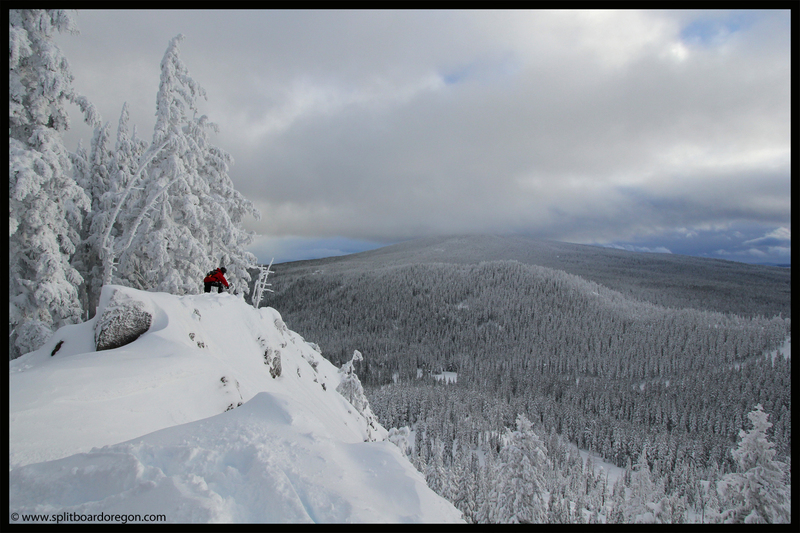 After several warmer fronts moved through the Oregon cascades in late November & early December, Willamette Pass was hit with a series of cooler storms producing several feet of light blower powder, making for one of the best opening weeks of skiing and riding in recent memory. 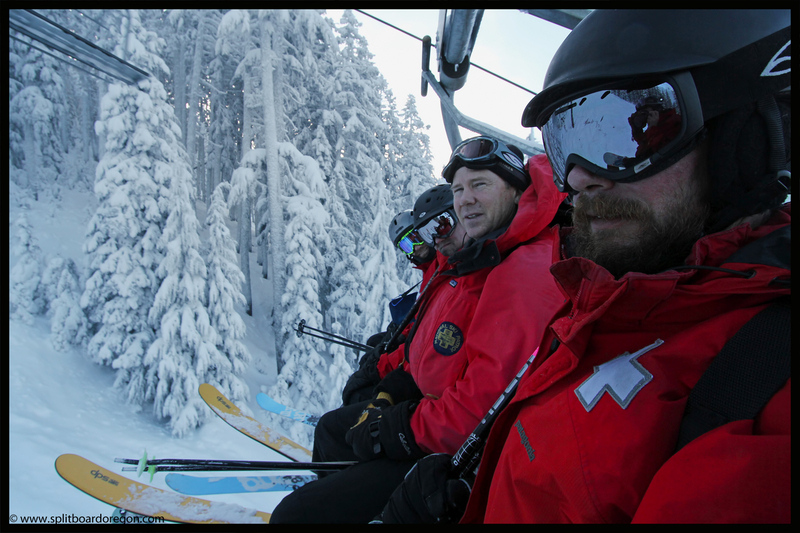 The 2012-13 ski patrol season started on December 16th, when the Pass fired up the lifts for a few hours to allow patrol to get all necessary gear out of the aid room and onto the hill. 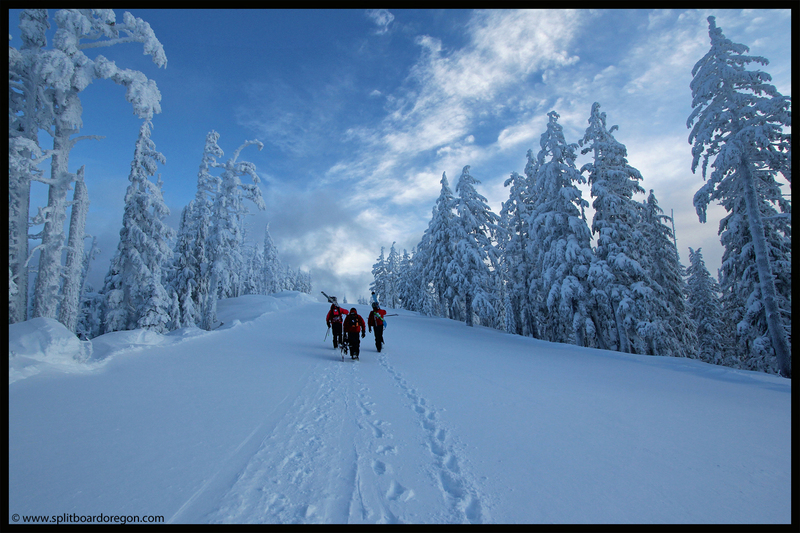 Sleds, tower pads, first aid equipment, evacuation gear, avalanche packs – you name it, all was put into it’s respective places on the mountain. 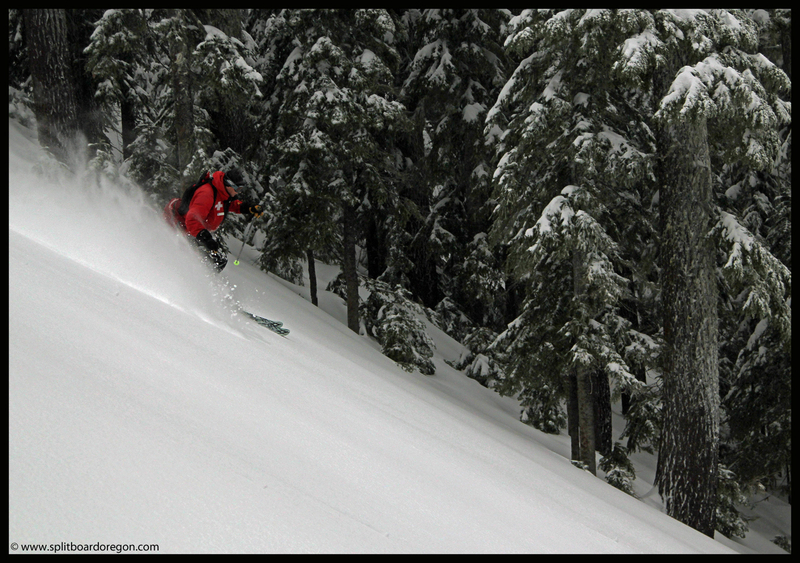 Along with the work of opening however, came the reward of getting the first lift served turns of the season. 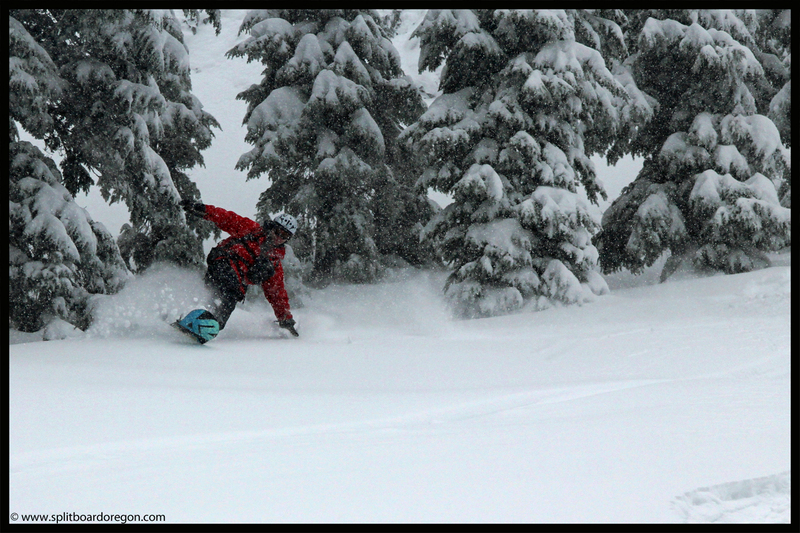 And, as usual on the first day, fresh snow was in abundance. I was lucky enough to open several runs on the backside with Dan since both of us had avy gear, including Northern, Escalator & Destiny. All three runs were pretty close to perfect. Around 9:30, I was called to the base to help lead the chairlift evacuation training for the makeup refresher. Although it was hard to leave Peak 2 with such good snow, Eagle’s Flight skied perfectly on the way down to the base with excellent coverage. After a couple of hours of chairlift evacuation in the books, Dan and I gathered some more gear to take out on the hill and were able to sneak a run in on RTS before the EPA lift shut down for the afternoon. Catching the last chair to the top at 1:30, we found plenty of good snow on Peak 2 for the remainder of the day before sweep. On Friday the 21st, I took the day off work and headed up to the Pass with Dan and Cindy for a full day of fresh powder runs. Dan and I helped out with avalanche control on Dragon’s Back before making run after run in the deep powder. We were able to get Gravity Chute to slide to the trees, and the team on the high route was able to get the snow to slide as well. The area had received about a foot overnight, with more than three and a half feet since we’d been there the previous Sunday so it really wasn’t that surprising. During one of many runs on the backside, I tagged a tree branch from a fallen snow covered log right above my boot which left me with a nice bone bruise – a good reminder that though there was over six feet of snow on the backside it was still an early season snowpack! 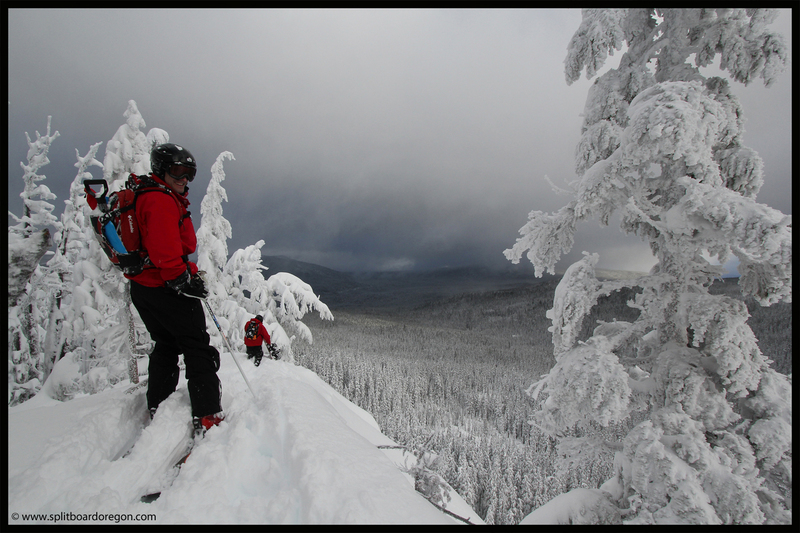 On Saturday the 22nd, I was back up at the Pass for my second patrol day of the season. Another 6 – 8 inches of snow had fallen overnight, and there was plenty of powder on the mountain. After the morning meeting, I headed out to do avy work for the second day in a row due to the fresh snow and winds the night before. 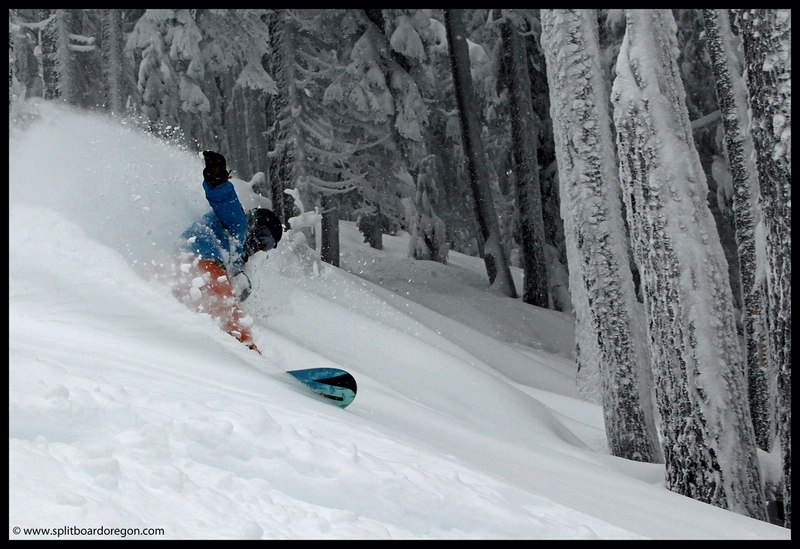 It felt good to get back on the EPA chair for the start of what will hopefully be a long and deep season! 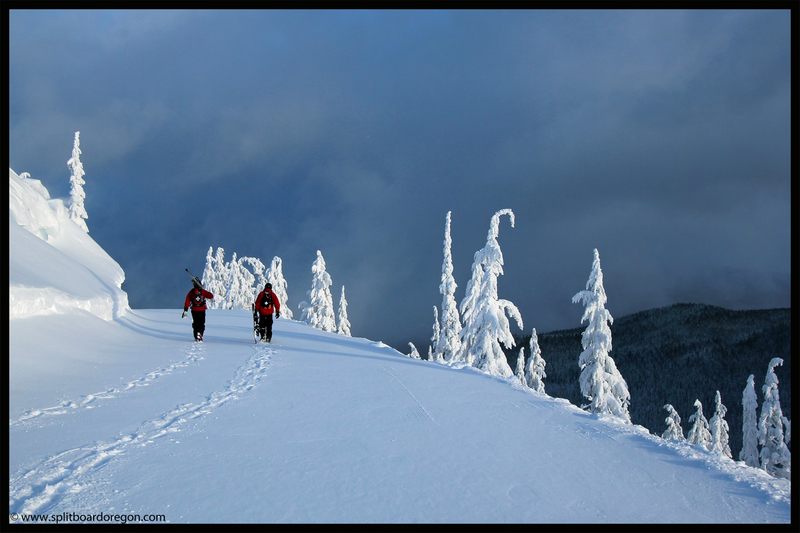 At the top of EPA, the skies started to clear for the first time in several days, and it looked like it might be a bluebird day as a few of us headed out towards Peak 2 for avalanche work while other patrollers opened runs on the frontside. With all the new snow during the week and the sunshine, it made for some cool pictures to start off the season…..
As quickly as it came out however, the sun tucked itself back under the clouds as it started to spit snow while we worked our way out Dragon’s Back kicking cornices onto the windloaded slopes. Unlike the previous day, the work went quickly and we weren’t successful in producing any slides, which left time to get a couple of powder runs in before taking the avy gear back down to the base. 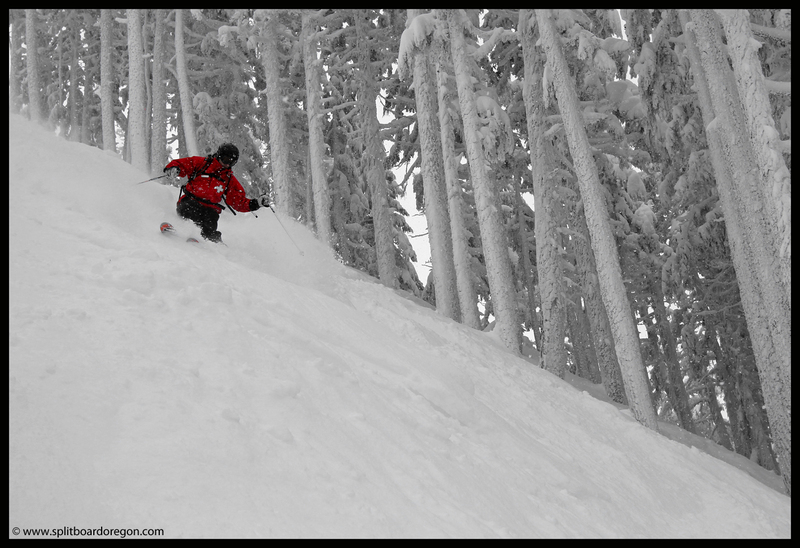 The remainder of the day was spent enjoying powder turns in the morning and packed powder runs in the afternoon. There were a couple of minor incidents, but nothing too interesting. RTS was in prime shape and skied like it was the middle of the season. By the end of the day, my legs were pretty much toast from two straight days of deep powder riding. After sweep, I think all of patrol was looking forward to the evening meeting and cold beer in the patrol room. All in all, it was definitely nice to be back at the Pass and (at least for me) will go down as one of the best opening weeks in recent memory.